Members of the Army Reserve Marksmanship Program competed and won a number of matches at the 2015 Interservice Rifle competition, held annually by the U.S. Marine Corps Weapons Training Battalion, Quantico, Virginia. The individual victories included Match #5 600 Slow Fire by Sgt. Kris Friend, and Cpt. Kirk Freeman winning Match #6 Aggregate of Matches, High National Guard or Reserve trophy and the LTC Reynolds Memorial for high overall individual shooter. SSG Jake Probst won High Post or Station, and MSG Rob Mango won Match #7 600 Yds Division B Match. The USAR Service Rifle Team won the Interservice Six Man Marine Corps Combat Development Command Team Match (MCCDC.) Team Members were Captain-SGM James Mauer (USACAPOC(A), Coach MSG Norm Anderson (4th BN ARCD), Firing Members were CPT Samuel Freeman (98th DIV), SSG Kris Friend (USACAPOC (A), SSG John Arcularius (3 rd BN ARCD), MSG Norm Anderson (4th BN ARCD), MSG Rob Mango (9th MSC) and SSG Scott Grant (USACAPOC (A). The Team also won won the Top Reserve Team in the Inter Service 10 Man Service Rifle Team Match. Team Members were Captain-SGM James Mauer (USACAPOC (A), Coach MSG Norm Anderson (4 th BN ARCD), Assistant Coach SGM Mark Bearnson (416 th TEC) Firing Members were CPT Samuel Freeman (98 th DIV), SSG Kris Friend (USACAPOC (A), SSG John Arcularius (3 rd BN ARCD), MSG Norm Anderson (4 th BN ARCD), MSG Rob Mango (9 th MSC), SSG Scott Grant (USACAPOC (A), SFC Dan Dorosheff, SFC Adam Stauffer, LTC Scott Klawon and LTC Cletus Paumier. 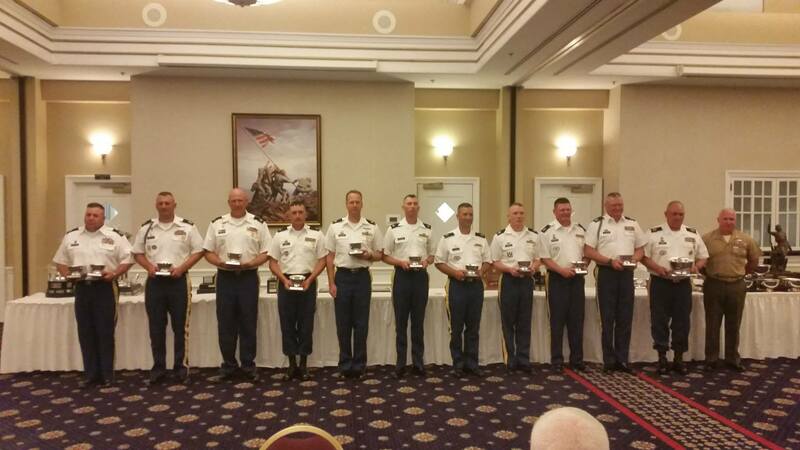 The Reserve team also took top honors as the High National Guard or Reserve Team with firing members CPT Freeman, MSG Anderson, MSG Mango, SSG Arcularius, SSG Grant, SGT Friend, SGM Mauer, LTC Klawon, CPT Freeman, MSG Anderson, MSG Mango, SFC Gervasio, SFC Stauffer, SSG Arcularius, SSG Dorosheff, SSG Grant, SGT Friend, SMG Mauer, and SMG Bearnson. SFC Chris Gervasio, SSG John Arcularius, SSG Scott Grant, LTC Scott Klawon, SSG Kris Friend, SFC Dan Dorosheff, MSG Norman Anderson, SGM Mark Bearnson and SGM Jim Mauer.